After some recent impactful events, my husband and I decided to take a few moments to reflect on them and plan what we would like to do in the future. I wanted to create a card as a reminder that we can achieve great things together. While looking through my favourite dies, I found this Cheery Lynn Design Frame die - Homeward Bound. The design fit perfectly to my theme. Ducks always fly together in the V formation to help them conserve energy and enable them to go the distance. 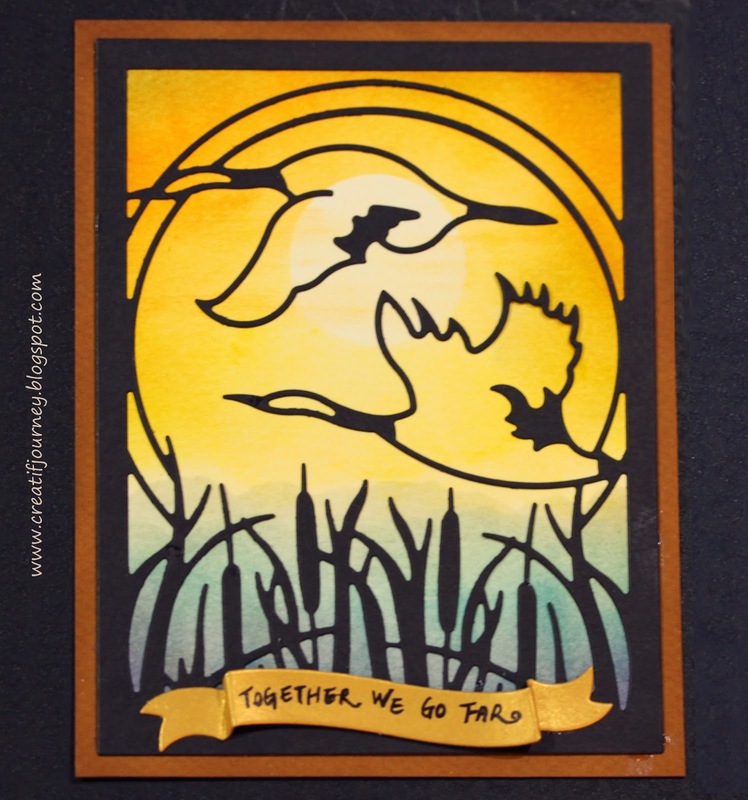 Using the distress inks, I created a dawn/dust background to reflect a "TEAMed" journey of a lifetime. I am also entering this card in the Cheery Lynn Make It Manly blog challenge. Always amaze at what others made with the beautifuf Cheery Lynn dies. What a fabulous take on our theme this week Mae, thanks for joining us over at Cheery Lynn.